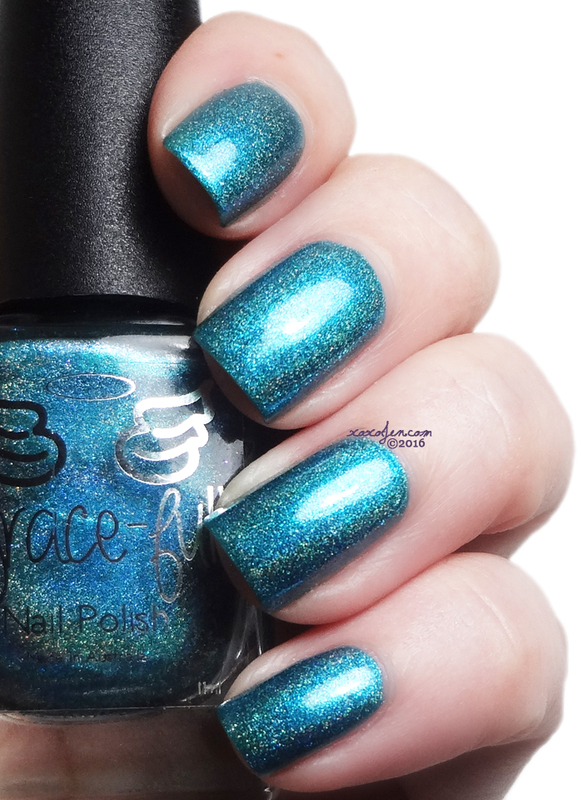 I have a beautiful collection of Grace-full polishes to share with you! Grace-Full has quickly become a favorite of mine and I'll tell you why. The formula is consistently smooth and fluid. 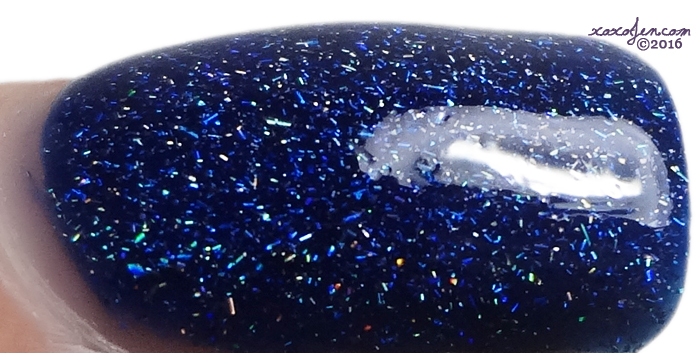 Many of the holos are one coaters. I like the brush and bottle and the creative genius behind the brand, Theresa, is a sweetheart. The True Blue collection is inspired by nature around Australia. 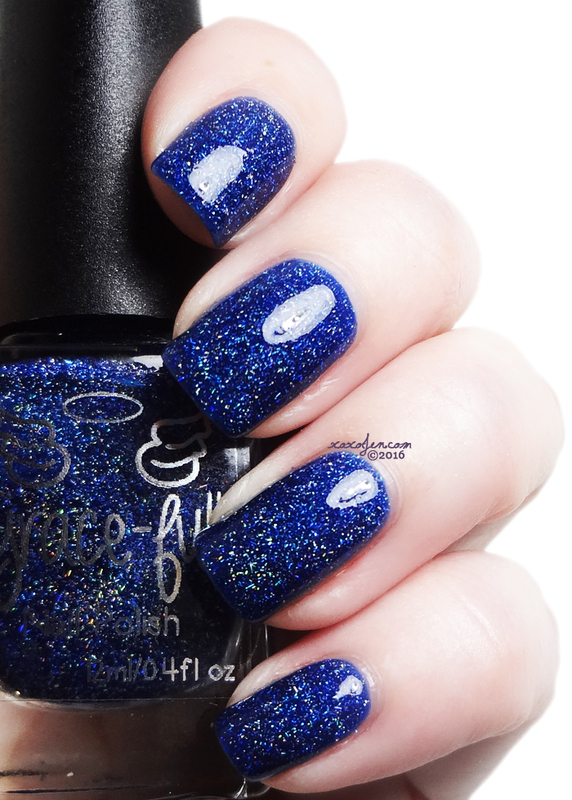 The polishes are available at both the AU and US webshops! All the shimmers and holos were one coat wonders. I topped each with a layer of quick dry top coat. I've used the brand's own descriptions for each color. Bondi Beach – is of course inspired by Bondi Beach. Bondi Beach or Bondi Bay is a popular beach and the name of the surrounding suburb in Sydney, New South Wales, Australia. 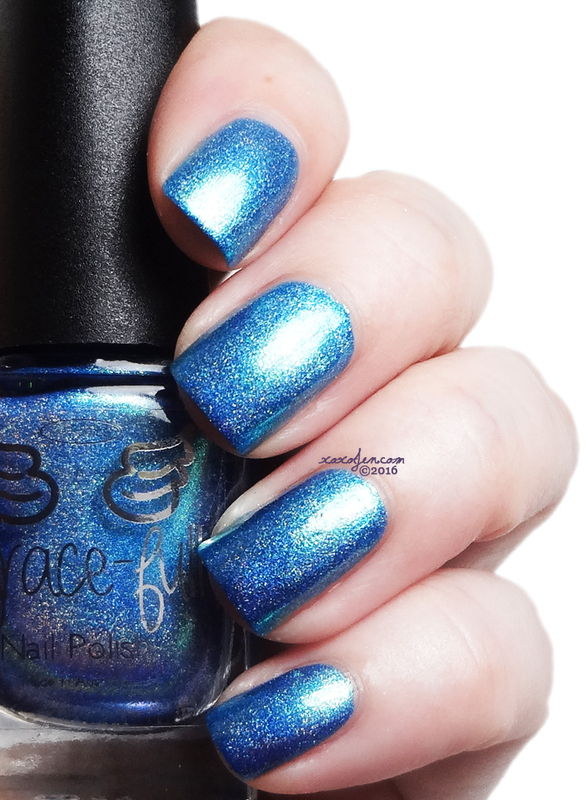 Bondi Beach is a blue based linear holo with a metallic look that flashes green and gold in different lights which gives the polish an ocean look. Cootamundra Wattle is based on the quintessential Australian colours of green and gold as seen in our national floral emblem the Golden Wattle. 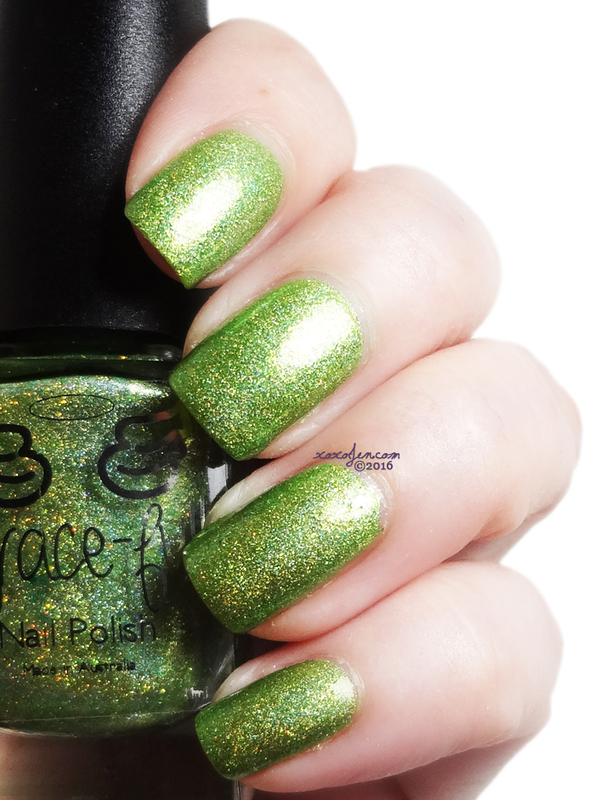 It is a yellow green-based linear holo with teeny gold holo glitter and gold flakes throughout. Pink Lake is well based on Pink Lake. Pink Lake is a salt lake in the Goldfields-Esperance region of Western Australia. 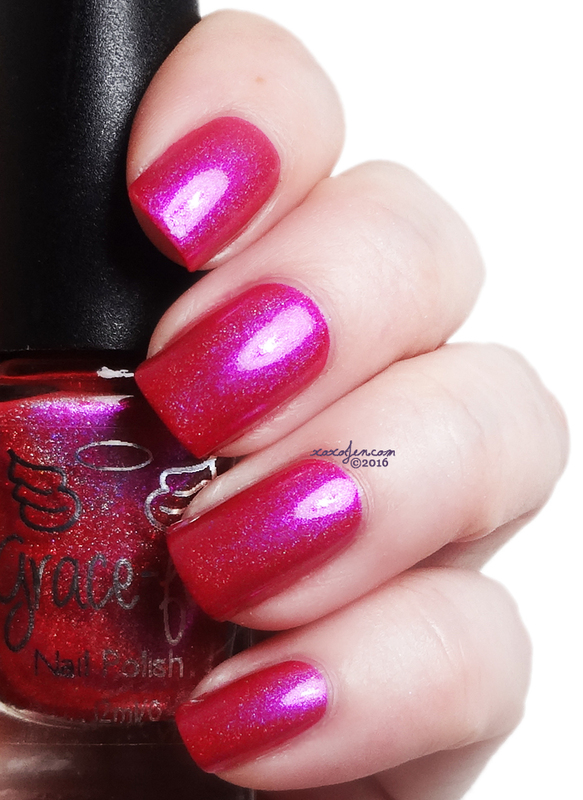 This is a bright pink linear holo with a metallic look. Daintree – based on The Daintree Rainforest is a tropical rainforest region on the north east coast of Queensland, Australia north of Mossman and Cairns. 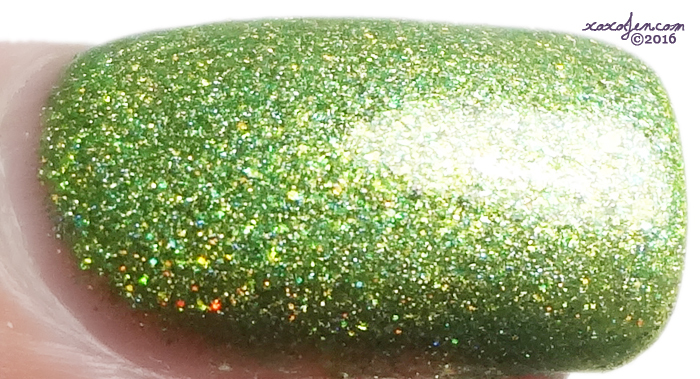 Daintree is a linear holo green teal with a metallic look and specks of blue flecks throughout. For the next two jelly polishes I wore 3 coats each. These would also make for interesting pond manicures or perhaps a topper to a matching cream. 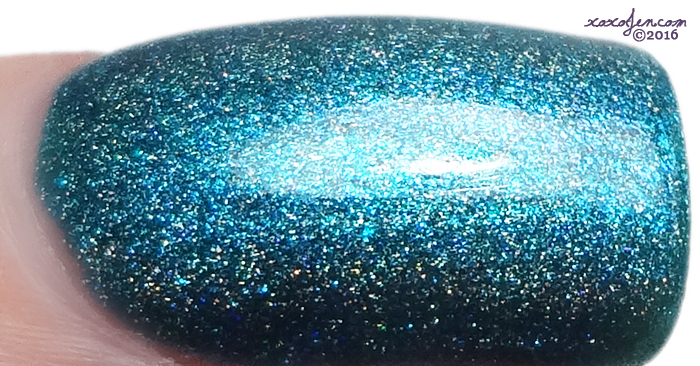 Barrier Reef Coral – is a gorgeous perfect deep turquoise base based on the waters of the Great Barrier Reef, with tiny lavender and silver holo glitter and specks of crystal in purple. I could not get the color exact for my photo, I feel that Barrier Reef Coral is a much richer, more vibrant shade than pictured below. Unfortunately, this is the closest I could get without it being too blue or too green or too dark. 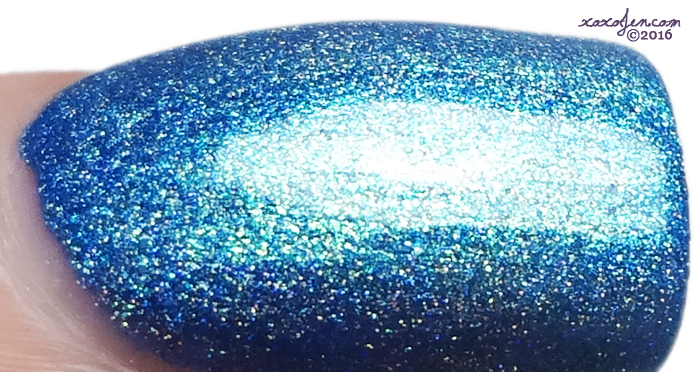 This shade really needs to be seen in person for full effect, and is definitely a must have for turquoise lovers! I hope you've enjoyed my review and swatches and come back to visit or follow me on facebook! Thank you and I think you'll be pleased with the polishes! These are all gorgeous but I really love Southern Cross! It's a beaut isn't it? The retro version of ssn can't hold a candle to this! All of the colors look pretty amazing! hehe that's what I was thinking when choosing what to swatch first and what to wear! I need to try this brand because these are all stunning. Amazing swatches! These are incredible!! Great swatches! Gorgeous swatches and collection. I hope to try this brand soon! Thank you! I think you'll be pleased! Cootamundra Wattle is my hands down favourite! I love it too! Such a perfect shade for the upcoming season too!